The Indo-French Air Exercise began today at Istres Air Base in Southern France. The fourth round of Air Exercise 'GARUDA' which began today would conclude on 25 of June 2010. During the Ex Garuda, the Indian Air Force and French Air Force would be engaged in various missions ranging from close combat engagement of large forces, slow mover protection, and protecting and engaging High Value Aerial Assets. 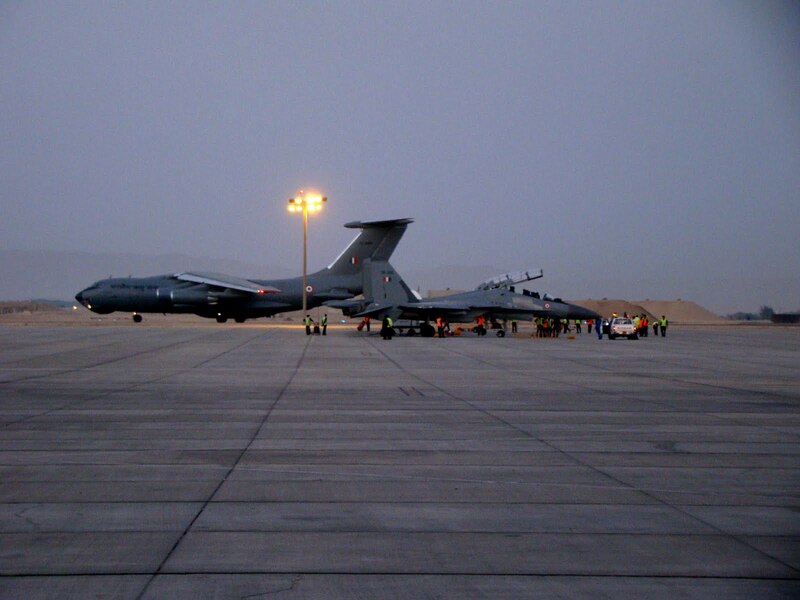 According to the Contingent Commander of IAF, Group Captain J Mishra, "The focus of the Air Exercise is learning from each other's best practices. The Air Defence operations would be central to our various maneuvers. These would take place in AWACS and non-AWACS environment. The intensity of the exercise would be gradually increased throughout its duration so that we learn and absorb maximum from the exercise". During the exercise the IAF's Special Forces 'Garuds' would also be proactively participating and shall be carrying out jumps along with the French Special Forces. The IL-76 aircraft which are an integral part of the exercise flying missions would practice static line drops with the French Special Forces. It may be recalled that the IAF is participating with six SU-30 MKIs, three IL-78s and one IL-76 aircraft. The entire IAF contingent arrived at the Istres Air Force Base on 12 Jun 2010 by 1215 hrs local time. The Istres Air Base is a large base located near Istres, North of Marseille in the Bouches-du-Rhone department France. The base houses some of the world's finest fighters and helicopters and serves multiple functions, including a repair facility and training grounds. The landing strip of this airbase is said to be the longest in Europe. The Istres Air Base was built before the World War II and has been of immense historical and operational importance. It may also be recalled that the Republic of Singapore Air Force is also participating in the Ex-Garuda for the first time with the F-16 Aircraft. The French Air Force assets such as the mid -air refueller have commenced their participation in the exercise.